So...this is a weird one. Although it's, I assume, a children's novel, I think in many ways this book will appeal far more to adults. 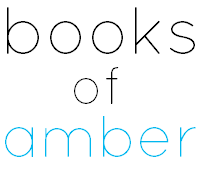 Those with an interest in fantasy fiction will particularly enjoy the way in which the novel parodies some of the most popular tropes. In the same vein, the humour in this book feels very specific. 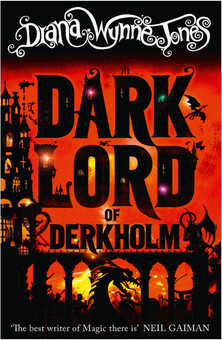 While definitely not for everyone, I do think most children and many adults would get a kick out of reading The Dark Lord of Derkholm. Okay, so this book introduces us to a world in which the fantastic is entirely real and more so, the land as a whole is open for tourism from 'our' world. 'Pilgrim Parties', consisting of groups of people from one world journeying across another to experience life in a magical land, occur every year and there are some Expectations that Must Be Met. For example, there must be a battle between Good and Evil, seductively beautiful women who hold valuable information, fantastical creatures such as Dragons and Elves, and most important of all, there must be a Dark Lord. Derk, an eccentric wizard more interested in creating mind-boggling creatures than fulfilling the role of a villain, has been chosen for this year's events. In some ways this novel is very clever. I really enjoyed how the protagonists were creatures that ordinarily have periphery roles in fantasy fiction - Griffins are usually just creatures the Hero encounters on his journey, the Enchantress never has a family and husband to go home to, and villains of fantasy fiction are never fathers. It was different, and I appreciated that. However, I do think the book takes itself too seriously to be a true parody - it just wasn't funny enough and as a result, I found myself skim-reading at certain points. I really wanted to love this book because Howl's Moving Castle is so wonderful but The Dark Lord of Derkholm fell short for me. I am saddened that The Dark Lord of Derkholm fell short for you. I can understand though that it didn't seem nearly as funny as it could have been. I haven't read this one in ages, so, I cannot remember whether or not I found it funny or an overly serious parody. Oh well, I just remember that I really liked it. Have you read the rest of the Howl's Moving Castle series?